Big surprise – as state lawmakers voice their willingness to dispense with political favoritism to specific businesses or industries, industry lobbyists are pushing for tax breaks for their industry. State lawmakers are weighing a proposal from American Airlines and other carriers to exempt them from millions of dollars in sales taxes on fuel, a request that could affect Charlotte’s status as one of the nation’s largest airline hubs. 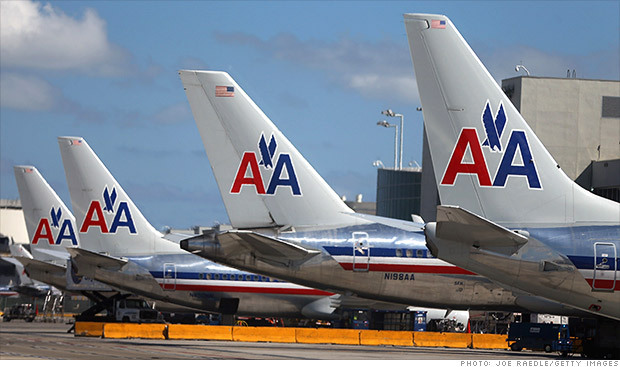 With a cap on jet fuel taxes set to expire next year, American, which merged with US Airways, has joined Delta, United and other airlines to seek an industrywide exemption from the tax. A bill to address the issue is expected soon. Why should airline carriers be exempt from state sales tax of their largest operating expense? Because, they are special, of course. But this excuse is the same excuse we hear from every industry lobbying for taxpayer subsidies or targeted tax breaks: film production, historic building preservation, furniture production, farming, internet data centers, recycling facilities, tire manufacturers, “green” energy, motor sports, tourism, oyster shell recycling, low-income housing, research & development, interstate air couriers, aerospace, tobacco and on and on. All businesses are special – they provide goods and services that improve the lives of consumers and provide jobs to people that enable folks to provide for their family. The inexcusable arrogance of the businesses and industries lobbying for political advantages is that they believe they are somehow more special than every other business. As if their good or service, and the jobs of their employees somehow count more than others. Tell that to the single mom who loses her job because her employer couldn’t compete with a company that received a taxpayer handout. The simple solution is this: tax all businesses and industries the same, or don’t tax them at all.